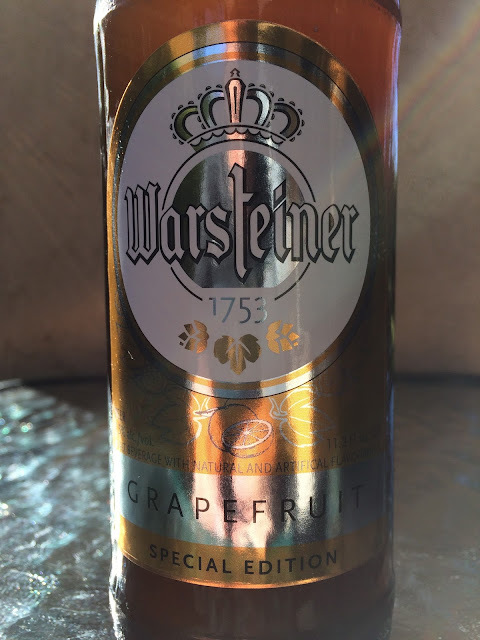 The agency representing Germany's Warsteiner in the US recently asked if I'd like to check out Warsteiner Grapefruit Special Edition. Um, duh. I'm not even sure if this is for sale yet but keep your eyes open soon. Warsteiner Grapefruit Special Edition is a radler composed of 50% Warsteiner beer and 50% grapefruit drink. Don't be scared of fruity particles and definitely don't be scared of the 2.5% alcohol! 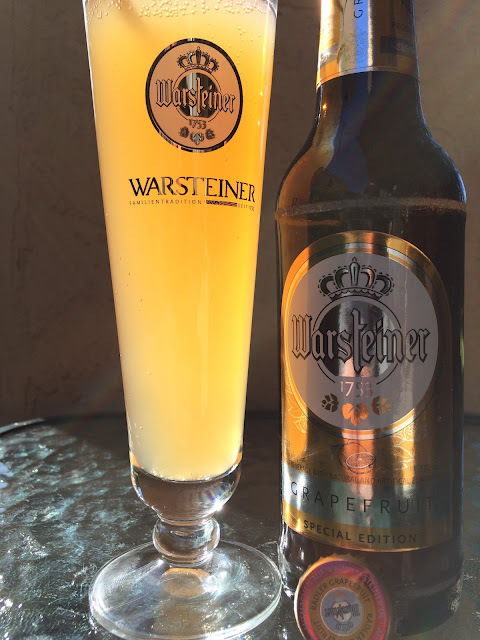 Lightly sweet aroma, faint grapefruit. Sweet and tart flavors to start with grapefruit standing out prominently. Citrus with a malty backbone. Definitely refreshing, nice flavors. I like it though I don't think "beer" when I drink it. I'll probably buy a sixer when I see in the stores for my wife to drink on the beach so she can still drive us home!